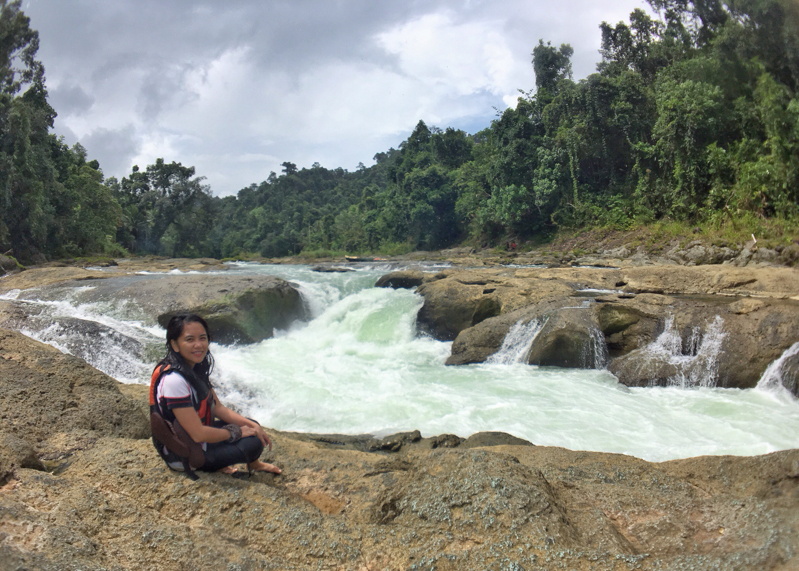 My recent trip to Paranas, Samar to try the Extreme Torpedo Boat Ride reminded me of the two P’s in life that I am terrible at – planning and packing. These two always go together when it comes to traveling. After all, being able to properly pack for a trip means that you have planned your upcoming trip well. Now, as I have said, I am terrible at these two things. It is pretty much evident in my travels if you have been following this blog for awhile. 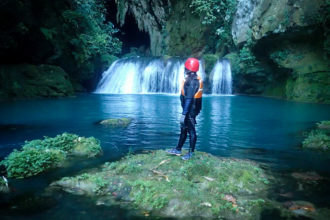 Prior to my scheduled trip to Samar for the 15th Trexplore Spelunking in Calbiga, I was not entirely sure if I was going to explore other places or not. I received an invitation to go to Higatangan Island, but I declined it. 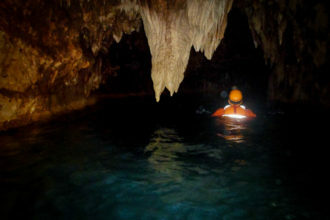 So the day I left for Samar, I only brought with me three days worth of clothes just for the caving exploration. But while we were still in the cave, three of my fellow travelers were planning to go to Paranas. 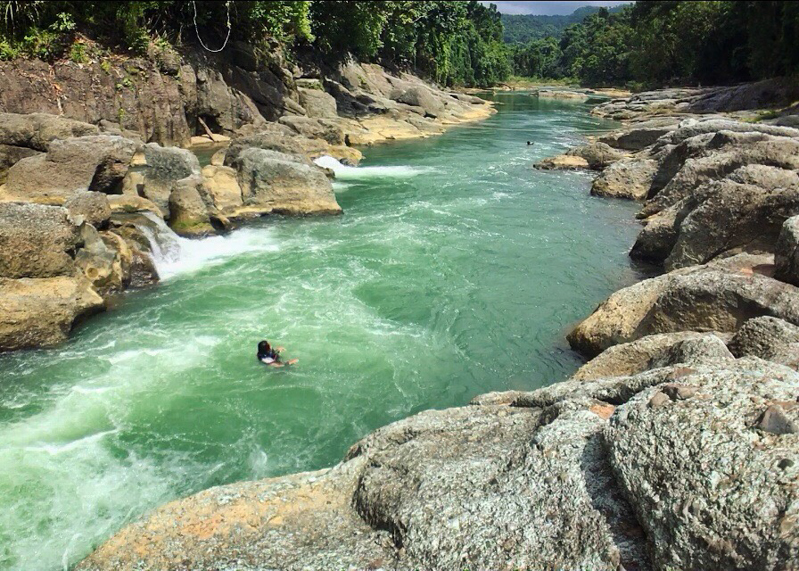 It’s a municipality located in the western part of Samar where this ‘extreme torpedo boat ride’ can be experienced. Naturally, hearing those words piqued my interest. I wanted to join their group and experience this adventure myself. If there’s one weakness that I am proud to admit, it’s that I always have a hard time saying no to adventures. We left Calbiga right after the caving adventure and traveled for almost two hours to Catbalogan City. We stayed for one night at Sir Joni’s homestay and there I had to face my dilemma. The only dry and clean piece of clothing that I had was the one I was wearing. The remaining ones were all muddy and wet. How do I survive this predicament? So like any other ‘ninja’ traveler out there, I tried washing a dri-fit shirt and yoga pants and let it dry in front of an electric fan. It was a relief that the room we stayed in that night also has an aircon so I guess it kind of helped dry my clothes. The next day, it was safe to say that I was ready to do the Extreme Torpedo Boat Ride! We left Catbalogan City and continued our journey to Paranas, Samar. 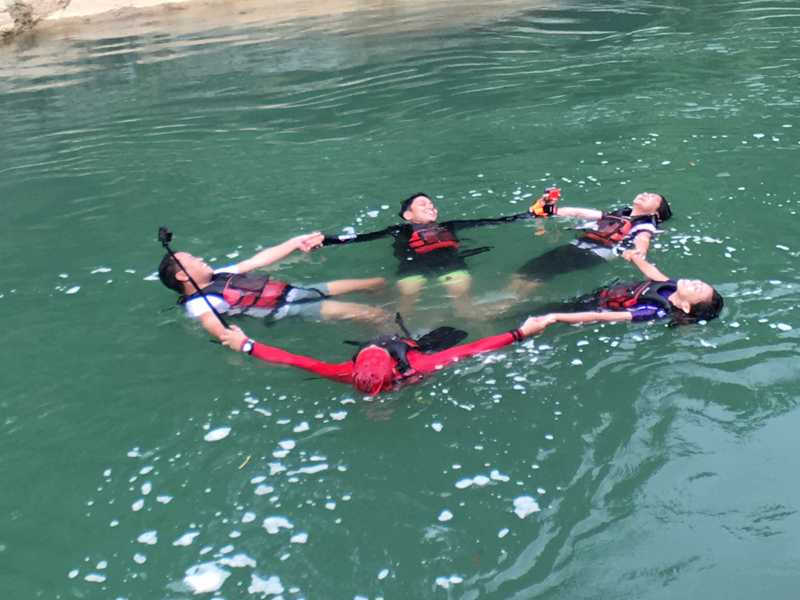 The Extreme Torpedo Boat Ride requires up to 5 persons only in one group. Coincidence or not, it was a good thing the five of us all met on that trip. 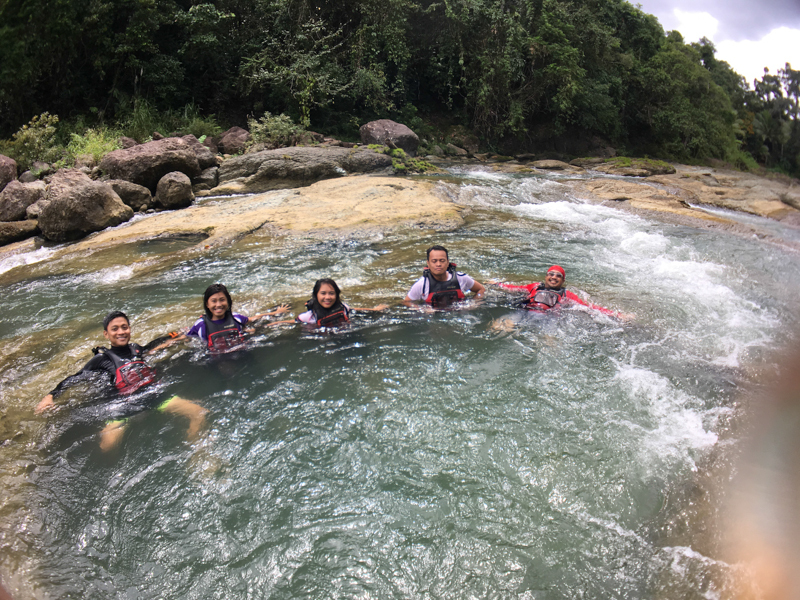 The Extreme Torpedo Boat Ride is managed by Tour Guide and Boat Operators For River Protection and Environmental Development Organization. The guides there were by far one the best ones I’ve met so far. After a quick orientation at the TORPEDO Office, we proceeded to the jump-off point. If you are wondering what a torpedo boat is, it is basically just a relatively small, narrow-shaped motorized boat. What it makes it different though is its speed when its already driven into the water. It was pretty fast and I would assume, it takes a lot of practice to sail this type of boat. I was amazed by our boatman’s expertise the whole time. I’ve never been fond of water adventures because I feel like I was a goat in my past life. Kidding. The fact that I do not know how to swim hinders me from enjoying any water-related adventures. That is why I’ve always preferred the mountains. When I first heard the name of this adventure ‘Extreme Torpedo Boat Ride’, I was a little bit worried that it would be too extreme. 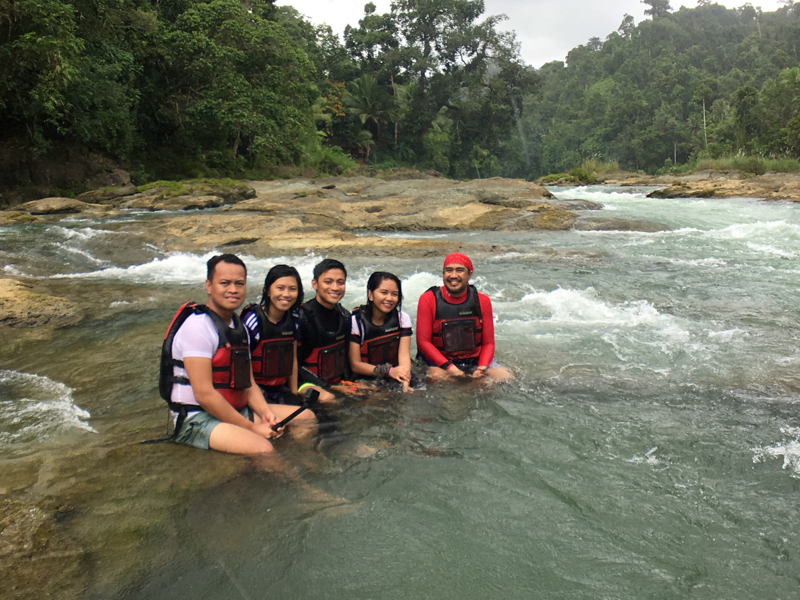 I’ve never tried water rafting in Cagayan de Oro yet, so I didn’t know what to expect. I kid you not, I really thought we’d be actually thrown off the boat! I was enjoying the whole boat ride. 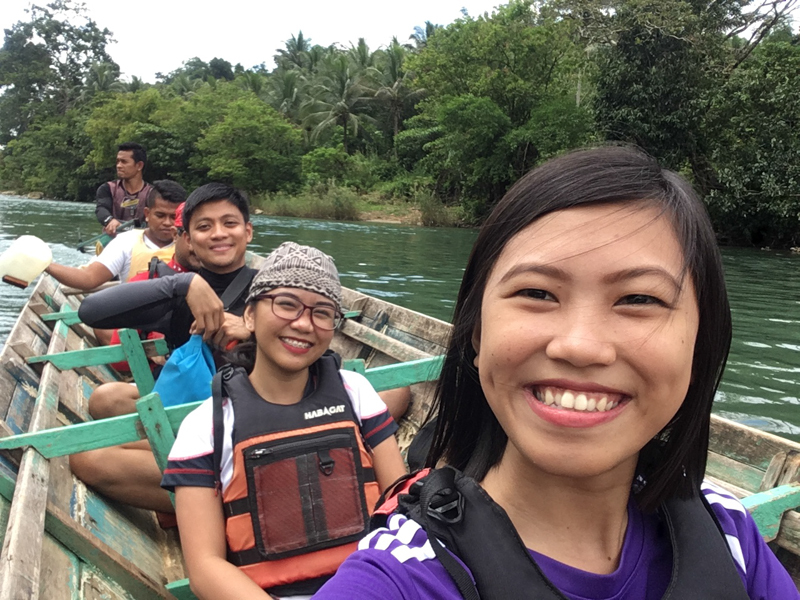 This boat ride follows the Ulot River, which is the longest river in the entire Samar Island, crossing all three provinces. However, the Extreme Torpedo Boat Ride route only traverses about 11.5 kilometers. It would take about 45 minutes to reach the end of the torpedo boat ride route. 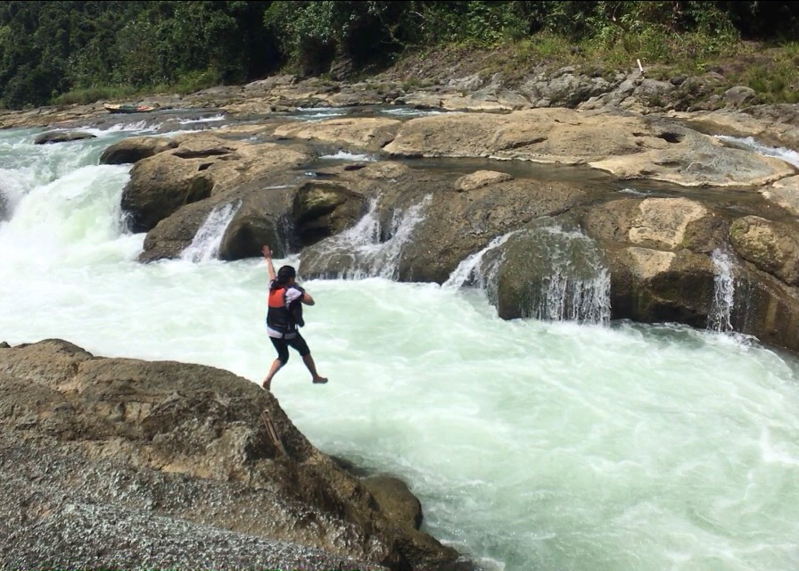 This endpoint in Ulot River is called Deni’s Point. But the adventure is far from over. There are tons of exciting things to do in the area which made the whole trip more fun. You can jump the cliff. Run around the impressive rock formations. One can also drink water from a natural spring. You can even simply chill at a spot with a natural jacuzzi. Going back to the jump-off point means going upstream. It was even more hilarious sailing against the current. We were unapologetically giggling and laughing every time we bumped the crazy rapids. I was grinning from ear to ear the whole time. I felt like a child running around and meeting new friends in a vast playground. And did I mention that I didn’t bring a camera the whole time? It was one of those moments when I just enjoyed everything without documenting it. Who would have thought that such an unplanned adventure could turn out to be that fun? 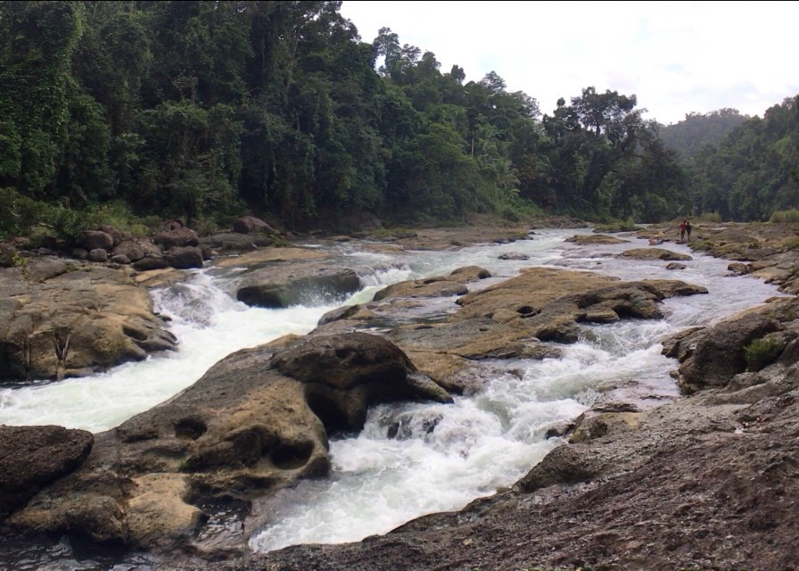 Ulot River is located at Brgy. Tenani, Paranas, Samar. If you are coming from Tacloban, take the national highway and ride a van heading to Catbalogan City. 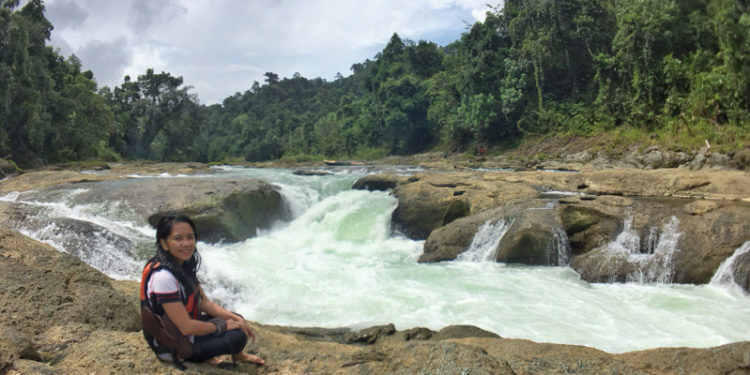 Take the road headed towards Borongan, Eastern Samar and inform the driver to drop you off at Brgy. Tenani (road junction at Buray). From there, you can charter a trike going to the TORPEDO office. The Extreme Torpedo Boat Ride package costs Php 1,825 per group of up to 5 persons. That amount already includes a tour guide, boat crew, safety equipment, and all SINP environmental fees. You may contact the tourism office of Samar through their Facebook/Twitter/Instagram: @SparkSamar or visit their official website at www.sparksamar.com. You may also contact Jomar Oraye (lead guide) at +63946 854 0808. Photo and video credits to Charlyn Benalayo.